The Hephaestus was one of the first 'Infernus' class Rock ships. Equipped with a devastating 'Infernus' beam, designed to incinerate whole ships, the Hephaestus is a force to be reckoned with. My fith ship. 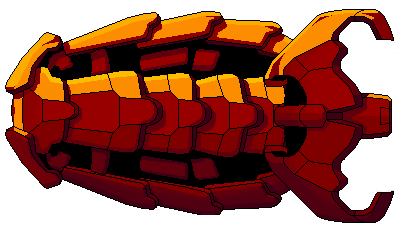 It's made out of re-coloured and modified FTL ship parts so nothing too new. Still needs testing by others, so if you think anything needs changing, let me know . 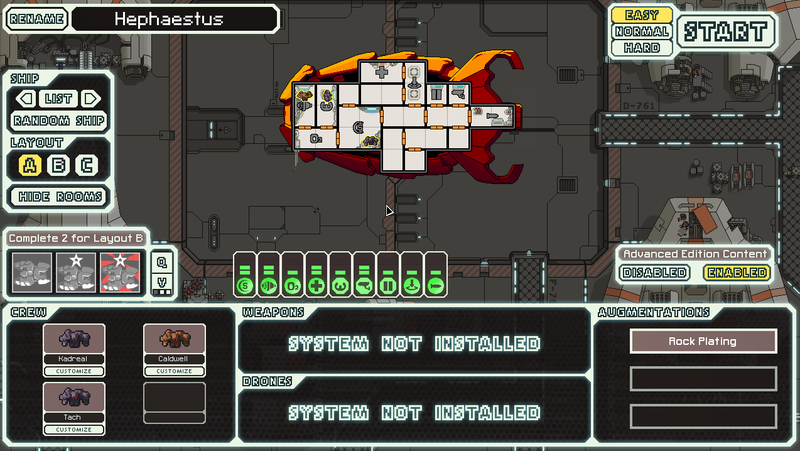 A moderately hard boarding ship. It replaces the Rock 1 ship. Comes with custom artillery 'Infernus' beam. It pierces all shields, always starts fires and charges faster than the normal artillery beam, however it does no damage. Shout-out to "NarnKar" who helped me, Thanks! Soglo wrote: Cool ship, the Hephaestus looks like some prehistoric sea creature. Love the colors too. Cool ship, the Hephaestus looks like some prehistoric sea creature. Love the colors too. Last edited by Soglo on Wed Nov 30, 2016 12:55 pm, edited 3 times in total.